Without rules, sanctioning would have been a near insurmountable obstacle. That would have greatly strained the remunerative potential of MMA, which would have prevented most of the great fighters we know today from ever entering the sport. Part of the reason why those early Ultimate Fighting Championship tournaments were fun was because the competitors weren’t particularly skilled or athletic. They were tough enough, scrappy enough and probably more than a little off-in-the-head enough to want to fight a stranger in some random sketchy arena. They were regular people you’d see in regular life with a dash of martial arts and/or street-fighting experience; they weren’t world-class athletes. “You can never truly know what lies inside the mind of another person, but I can’t help but wonder two things about Donald Cerrone. One: Does he want to become a UFC champion? Two: Did he ever? “The heavyweight division wasn’t always bad. In its heyday, it boasted some of the sport’s most iconic, enigmatic, dangerous and inspiring fighters. They rightfully anchored the biggest events in the biggest organizations, captivating our curiosities more naturally and, frankly, more morbidly than any other division. “I know it may be hard to believe, but the biggest story in the MMA world had little — though not nothing — to do with UFC Fight Night 125 on Saturday in Belem, Brazil. It sounds strange, since apparently the event was important enough to justify a 15-hour run time, or at least that’s how it felt. However, as good as it felt to see Lyoto Machida snap a three-fight losing streak in front of a supportive crowd of countrymen, a more pressing development was going on behind the scenes. 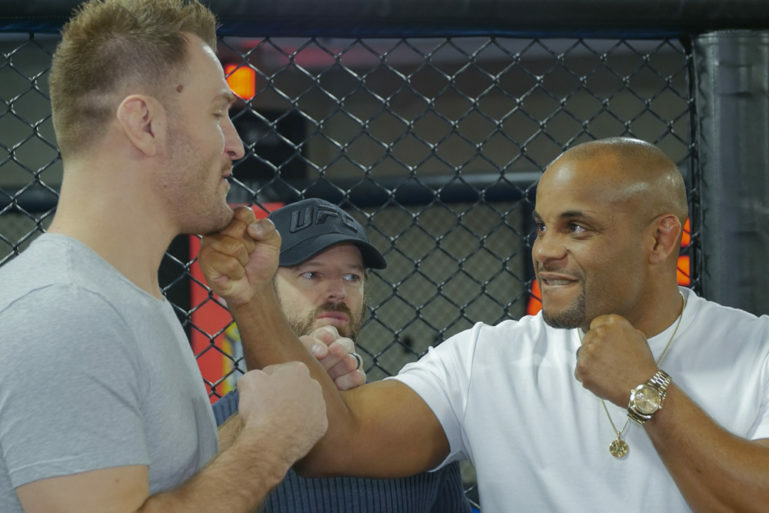 It was announced that heavyweight champion Stipe Miocic will fight light heavyweight titleholder Daniel Cormier in the UFC 226 headliner in July. That alone is big news. 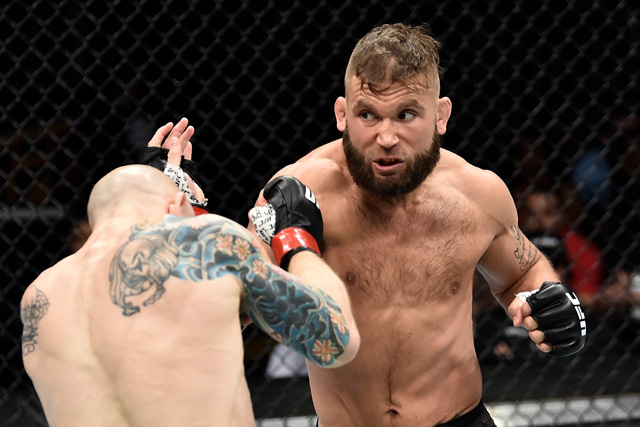 This is the first champion-versus-champion match in Ultimate Fighting Championship history to take place above welterweight, and it’s a genuinely compelling clash on its own. Cormier was undefeated at heavyweight for four years and 13 fights, and he didn’t just beat scrubs. 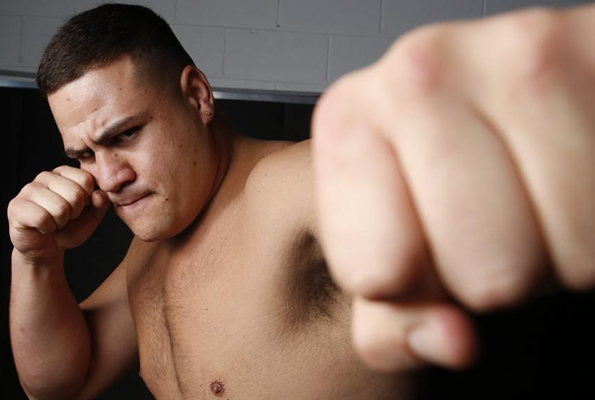 Former UFC champions and title contenders like Frank Mir, Josh Barnett, Antonio Silva and Jeff Monson decorate his heavyweight ledger, and eight of his 13 wins resulted in stoppages. Cormier was a legitimate heavyweight talent despite being small enough to compete at light heavyweight. Now that Miocic is short on viable contenders, this is one of the best matchups on the UFC roster for the heavyweight champion.